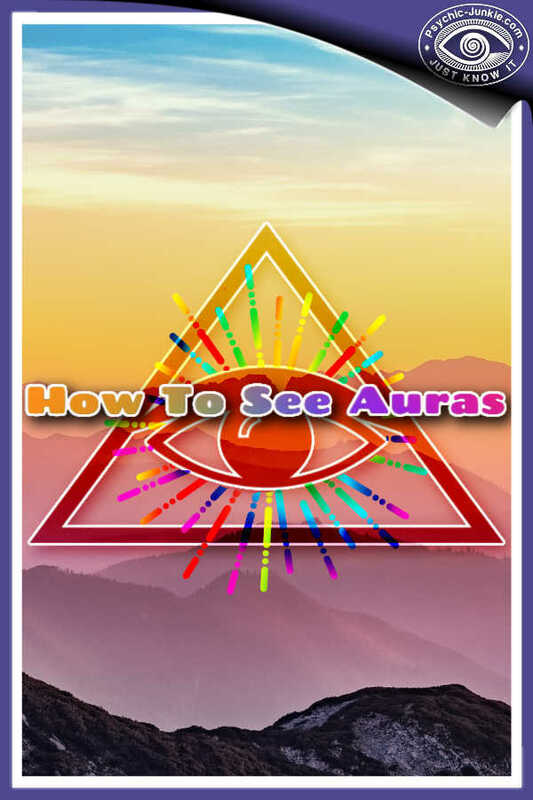 Eloryia RA is the verified author of this Aura Color Meanings post. You are a living Rainbow, just like many of the non-physical messengers surrounding you as spiritual guides! Each color in your aura is the combination of the electromagnetic frequencies emanating from your body. Your aura field where all of the colors are constantly shifting and changing reveals to the fine tuned psychic eye, as well as the very developed physical eye, your thoughts, emotions and actions in the present, the past and can also give you a very clear idea of where you are headed in the future. You can use this article as a simple reference guide to learn about each color in your aura as well as some combination of aura colors. Yet it is important to understand each individual color that might appear consistently or temporarily in your aura also has meaning to how it specifically relates to you. In an interpretation of the aura color meaning, an aura yellow green combination, as well as each and every aura color and/or aura colors combination present in your aura can have both a negative and positive meaning. Each aura color meaning and in what shape or form it appears is giving you an opportunity to be aware of and continue with your healthy behavior patterns that are propelling you towards your dreams and/or helping you be aware of any unhealthy negative behavior pattern/s that needs to be addressed, healed and overturned. As follows, below the examples of how the aura colors meanings have been revealed to me and how they translate for you in terms of my aura paintings, aura portraits, readings and or consultations. Each of these colors, if present in your aura, may also appear in a form or shape, which also have specific meaning to you. This is important to understand, as each symbol and how it is colored is unique unto itself and although the colors and forms have a generalized meaning, your aura will reveal how it specifically pertains to you. It would be almost impossible to address all the color combinations that are exposed your aura and the forms or shapes it takes, nonetheless, the aura color combination in an aura yellow green has a general meaning as well as a specific one for you. Red aura color meanings. Red is the color of the root Chakra and if showing in your aura in a positive aspect, would be revealing you are full of the life energy force that will express as an extremely passionate about every thing individual. You are grounded and very active, because you are vibrant with the joy of life and your attitude continuously restores your energy. Where as, a muddy red in your aura reveals its negative expression displaying you are holding onto anger. The anger may be due to something in your past lives or current past life, or the actual moment. It also matters how much red appears in your aura and its placement in your aura field. The amount and placement will disclose your willingness to face and work through your anger in a healthy conscious manner, or if you are resisting it, thereby creating even more anger related experiences to manifest in your life. Orange aura color meanings. Orange is the color of the naval Chakra and if appearing in your aura is the color of inspiration; meaning in Spirit. If you have a lot of orange in your aura, then you have recently been inspired to do something, say something, express some part of the true divinity of you. If the Orange is muted with an overlay of other colors crossing over it, then you have not been paying attention to your inspiration, the speaker of your feelings coming from your heart's desire. Yellow aura color meanings. Yellow is a color of pure joy and is the color of the solar plexus Chakra. Everyone's aura painting should have the color yellow. When it appears as a light creamy hue like butter, you are peaceful due to a solid trust in self. If it is a bright and radiant bold yellow it is similar to the happiness we feel when we are joyfully and peacefully experiencing a warm sunny day. Yellow represents the mental body, as well; so when in the aura yellow-green is combined together, especially if the yellow overlays the green, it usually means you are mentally interfering with your own desire for happiness. You are overly analytical having to dissect every decision before moving forward. Too much mental activity will always interfere with making the peaceful positive feel good choices towards manifesting your dreams. A yellow-green combination represents healing present in the aura on a mental, emotional and or physical level. Green usually means the lively, fun Arch Angel Raphael is about you, as he is not just the master of the elementals, but the master of healing as well. Green the color of the heart Chakra and when green appears as a vibrant emerald green it is telling you that you not only have an immediate opportunity to heal anything but that you may also be a healer in some form as well. Depending on where it is positioned in your aura field it will reveal what exactly needs to be healed within you and whether it is seated in your mental, emotional, physical or spiritual body. Blue is the color of the throat Chakra and when the color blue appears, especially that of a cobalt blue you are usually gifted with multiple communication skills. When appearing in its negative aspect this usually states that you have difficulty speaking up and it is time for you to be your truth by speaking your truth. Blue can also disclose whether the masculine aspect physical role model was either present or absent in your life. Pink aura color meanings. Pink is the color of self-love and most people do not address the color pink in the aura. It is not often seen in everyone's aura because we as humans suffer severely from its unhealthy expression of a lack of love for self. The energy of pink is most needed and empowering element within us, as it is what fuels the fires of being valuable and deserving. The appearance of pink in your aura will allow you to see where, why, and how much of this energy you are needing to heal the incorrect belief of being less than. Indigo is the color of the third eye Chakra and It is actually the combination of Red and Blue in your aura. If it is appearing negatively it is a warning that you need to apply more life force energy to the passionate truth of who you are. Indigo in its positive aspect represents that you are an individual that will be firmly committed to your beliefs and will do almost anything to make sure that your personal life, as well as those you love and the world at large live in balance and harmony. If you have a great deal of Indigo in your aura field you will not stand for anything less than the absolute highest truth of all things. Violet aura color meanings. Violet represents the crown chakra as well as St. Germaine and the transmutable violet flame. When violet shows up in your aura painting in a positive fashion, its means you are a master of transforming the negative to the positive. Violet appearing as its negative counterpart represents that there is deeply embedded trauma within you which has continued to be buried or avoided. The good part here is that both the positive and negative aspect normally show up together, meaning despite any past traumatic experiences, you have the ability to change it all around for the good. When Violet appears with a gold and or silver, then you are mastered in the use of this energy, a true alchemist. There are multiple more subtle colors that may appear in your aura, like turquoise, magenta, silver and gold. These colors have were not often spoken of in the past because they are beyond that of the interpretation of the physical colors of the rainbow and have only been appearing in aura fields in the past decade or so. You may be predominately displaying one of these specific higher dimensional colors or a combination of turquoise, magenta, silver or gold and including the complete rainbow of colors within you. Eloryia RA, who is more commonly known as the Angel Lady, is a Radio host, featured television guest, a Spiritual Life Coach, Transformational Healing Facilitator and Workshop Leader. 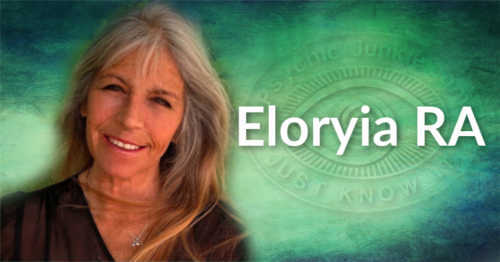 Eloryia combines her multiple talents as a clairvoyant, visionary artist and photographer to gracefully guide her clients into the life they dream of. She is also a teacher of the One Mind Counsel , the creator of The Ascension Program; a conscious plan to successfully change your life, based on the universal laws of One. In her 25 + years of experience she has guided thousands out of their self-imposed hell into living a life likened to heaven on earth.